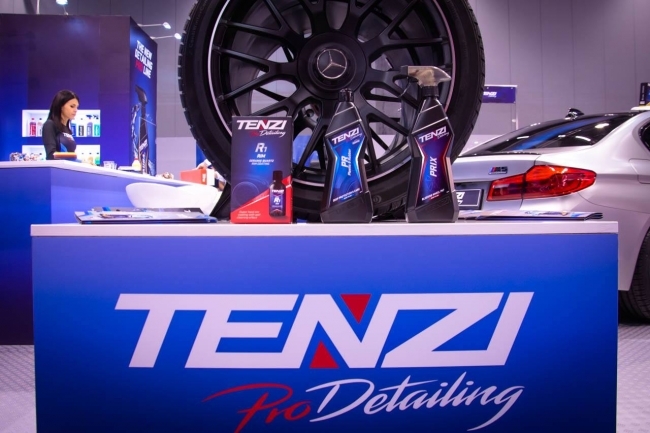 Poland No.1 Car Detailing brand Tenzi decided to jointly exhibit with Fine Piece in the Automechanika New Delhi 2019 for the brand development in India and Asian markets. 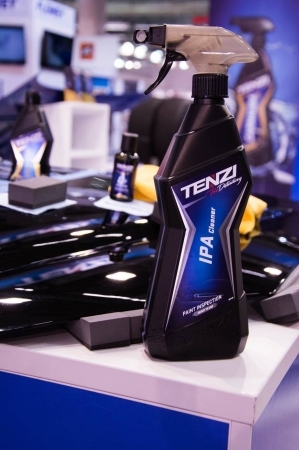 Photos of TENZI Booth in Automechanika Frankfurt 2018. Car Shampoo Very efficient and effective car shampoo with gloss effect for car body wash. Dedicated for all types of car body. 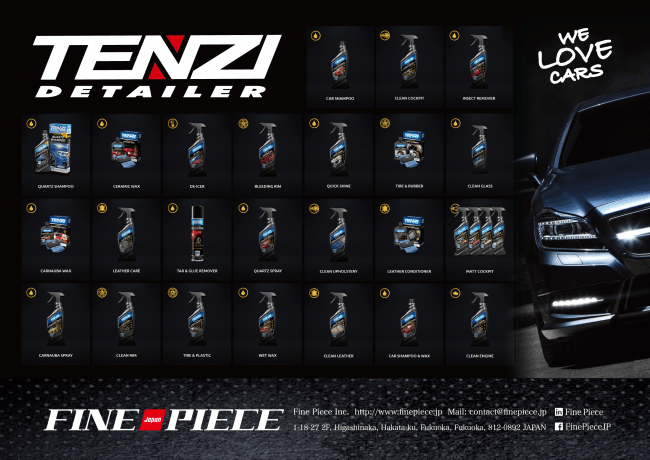 Car Shampoo & Wax Very efficient car shampoo with protection, gloss and rinse effects for all types of car body. Quartz Shampoo Unique car shampoo with Quartz protection. Enhancement for car paint color, long-lasting protection and super gloss. Superhydrophobic - actively repels dirt. Clean Rim Products for cleaning all types of rims and tires on vehicles. Removes regular break pad dust and road dirt. Bleeding Rim Bleeding wheel effect. Neutral product for removing break pad dust, rust and road dirt off aluminum, chrome and painted rims. Tire & Plastic Wet-look effect. Very efficient and effective tire and rubber parts dressing. Brings gloss effect, protects from water and dirt. Deepens tire colour. Clean Engine Effective product for cleaning and care of car engines. Creates gloss effect. The product does not damage any gaskets. Wet Wax Product for car paint protection. Contains liquid quartz. Effectively protects car paint from water, dirts and UV rays. Quick Shine Quick gloss after car wash. Removes streaks, stains, water scale and dirt. Very efficient, non-streak polimer-based product for maintaining gloss on car paint. Carnauba Spray New generation product based on natural Carnauba wax for quick protection of all types of car paint. Protects from UV rays. Quatz Spray Product for car paint protection. Contains liquid quartz. Long-lasting protection from water, dirt and UV rays. Clean Glass Non-streak product for cleaning glass, windows, mirrors and reflectors. The product does not leave any reflect layer, creates gloss effect and protects from dirt. Clean Upholstery Super Efficient and safe product for all kinds textiles even with heavy dirt build up. Product is dedicated for all kind of textiles surfaces - seats, car upholstery and carpets. Leaves fresh fregrance. Clean Cockpit Product for deep cleaning of cockpit surfaces. Dissolves regular dirt, fingerprints, dust and grease. Deeply cleans all types of surfaces. Matt Cockpit Matt effect. Product for plastic surface care in vehicle cockpits. Leaves antistatic and anti-reflect protection layer. Matt Cockpit Alure Matt effect. Product for plastic surface care in vehicle cockpits. Leaves antistatic and anti-reflect protection layer. Alure smell. Matt Cockpit Strawberry Matt effect. Product for plastic surface care in vehicle cockpits. Leaves antistatic and anti-reflect protection layer. Strawberry smell. Matt Cockpit Vanilla Matt effect. Product for plastic surface care in vehicle cockpits. Leaves antistatic and anti-reflect protection layer. Vanilla smell. Clean Leather Product for cleaning painted and non-painted, natural and synthetic leather surfaces. Make sure the leather paint is non-removable. Cleans all types of dirt. Leather Care Dedicated protect for frequent cleaning and refreshing all types of leather surfaces. Prevents drying and cracking of leather. Tire & Rubber New-look effect. Very efficient and effective tire dressing. Gloss effect and protection from water and dirt. Deepens colour. Can be used in sub-zero temperature. Product package includes one applicator and one microfiber towel. Carnauba Wax Protective car wax. New formula based on Carnauba wax and PTFE. Amazing gloss effect for car paint. Hydrophobic layer protects car paint from rust, water and dirt. 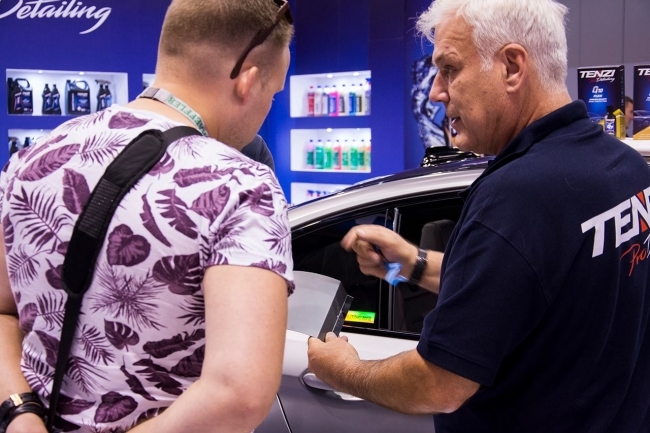 The products goes into the paint, fills microscratches and deepens car paint colour. Product package includes one applicator and one microfiber towel. Ceramic Wax New generation nano-formula product based on P14Si - Quartz for surface protection of all types of car paint and car body. Contains liquid ceramic, Carnauba wax and PTFE. Leaves long-lasting protection layer. Creates hydrophobic effect and deepens car paint colour. Product package includes one applicator and one microfiber towel. Leather Conditioner Cream for protection and conditioning of leather surfaces. The product prevents leather surface from dirt absorption (example: jeans dye), from drying and breaking. Maintains natural look of leather and makes it elastic. The product does not give any shine. Product package includes one applicator and one microfiber towel. Insect Remover Effective product for removing insect remains and other organic dirt from car body. De-Icer Product for removing frost and ice from glass surfaces. Effective even at temperatures of Minus 70C. Dedicated for paintwork, textiles. Tar & Glue Remover Aerosol Special heavy-duty cleaner in aerosol can for cleaning: rubber, tar, asphalt, glue. Cleans even stubborn dirt. Dedicated for paintwork, textiles. Do not apply on rubber or plastic parts.